That dress is the perfect summer staple for a casual look or cover up! I am in love with those sandals, too! Such a cute summer dress!!! Love this off the shoulder dress on you! Casual, pretty, and perfect for summer! Obsessed with your dress. I saw a similar one at J Crew this weekend and I am kicking myself for not getting it!! IN love with this chambray dress! But I am also dying over your choice of accessories - the saddle bag and lace up sandals are too cute!! That sounds like a great Memorial Weekend, and good for you for unplugging for a while. That can be hard to do but it's so necessary sometimes. I love how you styled that dress with those cute lace-up sandals! I am loving this dress! It's so cute and it's the perfect color! This dress is so great!! You look amazing in it, and I love the black accessories! beautiful look! Love love love this look!! You are stunning! That dress was made for you! Love this look! 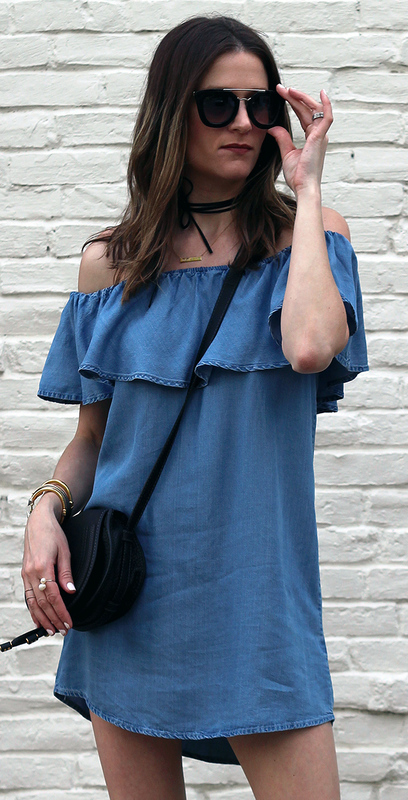 This off the shoulder look has been a staple for summer! Love it!! I LOVE that you made your own choker! That dress is so cute! Love all the accessories you wore it with. No body rocks off the shoulder like you do!! I love your dress. 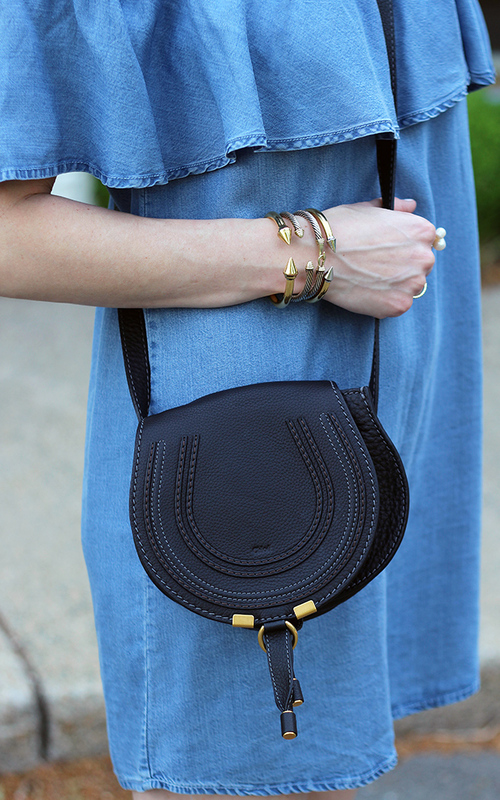 Chambray is my go to for Summer! And your gladiators are great! Love this look with your gladiators, a great outfit for a day at the lake! A perfect look for a day at the lake!